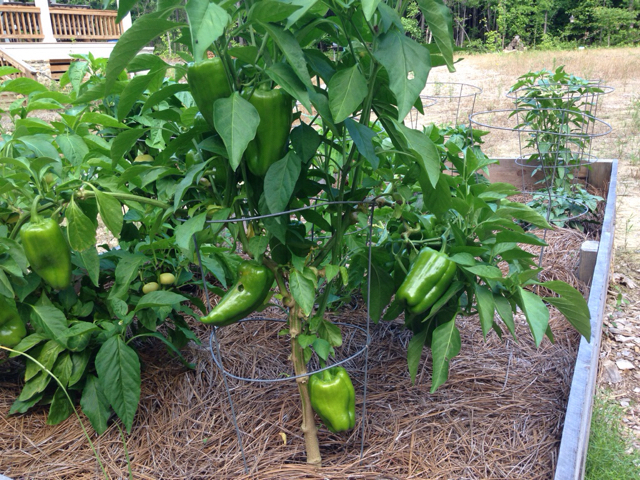 Here's what some of my overwintered peppers look like. These two bishop's crown are in a 4 ft wide bed. And this red marconi is loaded with fruit. Well, it wouldn't be the first example of different peppers sharing the same name. Brazil is full of them. I take it that yours ripen orange? Hot? They do. I just named mine Orange Thai. I don't know the real name. I didn't know there was already an Orange Thai! Not to be an alarmist, but here in SoCal we have been having troubles with the Potato Psyllid and especially the bacterial Candidatus Liberibacter solanacearum (Lso) disease that it can carry. It is important to me to not allow the Lso to be carried to the next season from overwintered plants. So overwintering for me is not a good idea. 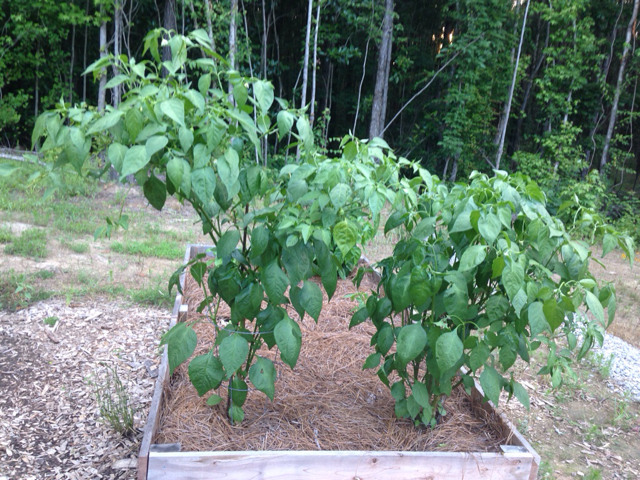 Scott - I had just a jalapeno and Serrano plant last year. Did nothing, but our winter was so mild, they over wintered on their own. I have been covered up on both types of peppers, eaten all we can, given tons away, made salsa and still have more than we know what to do with! 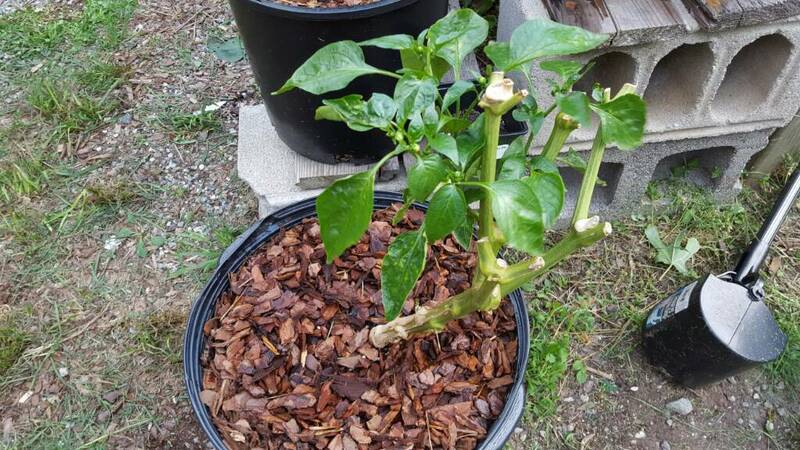 What did you do to accomplish over wintered plants? Bring inside? Mine were in a a raised bed, but, the production has been so great. This pic is pretty close to what mine looks like, though with darker pods and fewer leaves. Actually, your form seems to be better represented on google images..
That is interesting. Your form is more like the Thai Prik, which is used to make Prik Nam Pla (peppers in fish sauce, lime juice, and perhaps a little sugar). 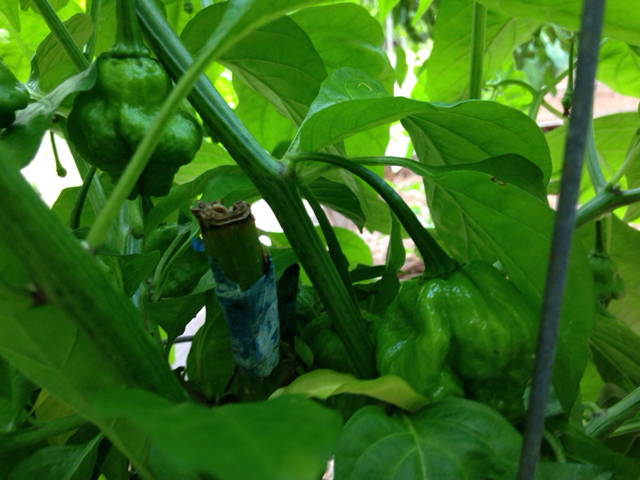 But I have never seen orange bird peppers like that - my Thai Prik are red when ripe. 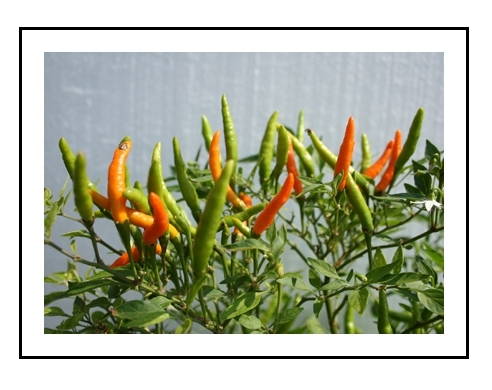 I'll bet yours look just like the ones at http://www.rachelcooksthai.com/spotlight-thai-chilis/. Mine are identical except orange. Apparently the smaller ones (smaller than ours) are called prik ki nu (literally, "mouse turd peppers"). This is an interesting page: http://www.thaifoodandtravel.com/ingredients/pkn.html. The pics I see suggest that ours are prik ki fah, which seems a more generic term. Do you speak much Thai? That is interesting, and thanks for posting. The problem with getting peppers at farmers markets and grocery stores is that they are labelled "chilis." And hence the variety cannot be determined.